Our mission is to become your first choice for all of your insurance needs by establishing a personal relationship with you & helping you understand the risks you face every day. 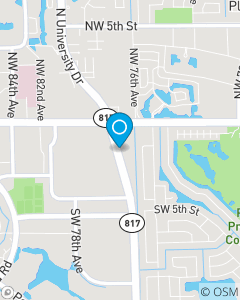 We focus on auto insurance, home insurance, renter's insurance, and life insurance throughout the Plantation, FL area including Davie, Ft Lauderdale and Sunrise, FL. We are here and ready to help with all of your insurance needs. Call, click or walk in and let us reveal our fabulous personalities and many, many years of combined experience. We look forward to meeting you. Oh! We speak Spanish too.